Home > Books > How Do You Read to a Rabbit? Youngsters will laugh out loud at the antics of the 13 animals -- and the child who tries to read to them -- in this delightful picture book. From bats to boas and camels to kangaroos, the animals demonstrate the many challenges of reading to them: a boa might want to hug you a little too tight, and you'd have to jump pretty fast to keep up with a kangaroo. All ends well, however, as we see the child reading to his parents. Now that's something easy to do! 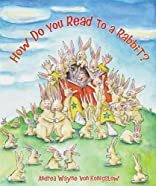 The comical characters and repetitive text make this an ideal book for preschoolers, who will be only too happy to come up with a host of other animals and the reasons why it would be difficult to read to them. About Andrea Wayne von Königslöw (Author, Illustrator) : Andrea Wayne von Königslöw is a published author of children's books. 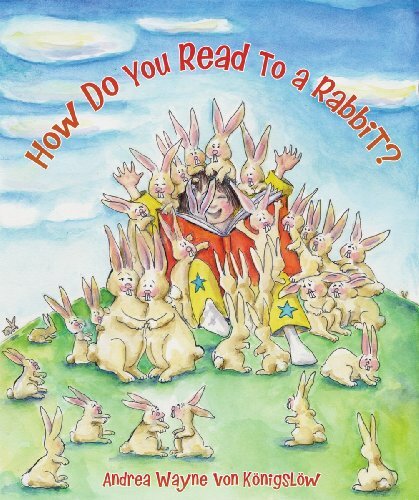 Published credits of Andrea Wayne von Königslöw include How Do You Read to a Rabbit?.